Gel & Liquid Eyeliners. The good, the bad and the downright awful. I love love love love love love love eyeliner. Smudged, clean, flicked, double, single, coloured, frosted, matte, liquid, gel, cream, powder, cake... I just love it. I think it really finished off a look, and draws attention to your eyes, which is never a bad thing. There are many ways to create the "dreaded" eyeliner flick. There are many products to create the eyeliner flick. There are many many people truly afraid of the eyeliner flick. Back in the day it was the one thing that used to freak me out, but practice makes perfect and I have long mastered it. There's nothing nicer, in my opinion, than a clean eye, a hint of a cut-crease, a blacker-than-black gel liner flick, and a red lip. Yum. Makeup brushes: how do you clean yours? I've never actually counted all my makeup brushes; to do so would add credence to the fact that I quite likely have a problem :-) Suffice it to say (purely on the basis of a quick mental calculation) I have around two hundred or so class brushes (ie used in the Bootcamp class); two over-bulging brush belts that must have another forty brushes in each, and my own personal stash (well, let's just say that I have at least one hundred eye brushes alone. Yep, I have a problem). As I have so many, I don't mind using one, relegating it to the "used" stash, picking up another, using that... Every second week or so, I have to face the bloody awful task of cleaning them (of course, my kit/class brushes are cleaned after every event). I can honestly say that I hate this job. It's a necessity, but I don't get any pleasure out of spending several hours every week in brush-cleaning activities. So I've put in the time and money over the years, investigating, and using (and swearing at) different methods and cleansers for cleaning brushes. MAC Pro Masterclasses differ from the MAC Techniques classes, which are aimed at Joe Public. Mostly, the masterclasses take the form of a demo; this could be something standard or something highly intricate, and are usually also used to showcase upcoming products, both commercially available and Pro-only. They're available to anyone holding a MAC Pro membership card, so are aimed at industry professionals, and the MAC artists giving the masterclasses are generally very good with their time afterwards for product-specific Q&A. This particular masterclass was in Bridal, which is apt, given the rapid approach of Wedding Season, and it was given by Lesley Keane, MAC's senior artist in Ireland. Read on for a breakdown of the looks completed, some tips and some new products on the way! Well, read on if you want to know what setting sprays and finishing sprays are and do... and if you can just use water... or... emmm... not. As I love eyeliner, and (in case it hasn't been patently obvious from other posts) I really do rate the Avon Supershock pencil gel eyeliner offerings (see here and here, oh and probably here at a stretch too), out of complete curiosity I recently bought the Avon Supershock gel eyeliner pots to see how they fared in comparison. Another day, another drugstore review... today it's the turn of Bourjois Healthy Mix foundation, a foundation so awesome that Bloggers and YouTubers are falling over themselves to recommend it. A foundation so amazing that it's won awards. A foundation so brilliant that it scores highly on review sites. At around €15, it certainly falls midway between the cheap offerings and the more expensive ones, so it was worth a try. 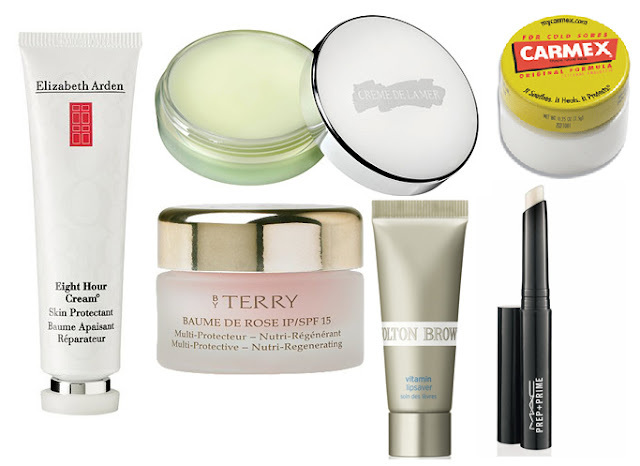 Down through the years, like everyone, I've dabbled in lipsticks, lipglosses, lipbalms. The latter was something I used mostly sulkily, because (a) my lips were frequently in rag order, and applying lipstick wouldn't help and would most likely show them up. Also, (b) because of the nature of my job/business (IT) I was mainly surrounded by guys who were confused when I wore a lipstick (and confirmed that, yes, in fact, I was a girl) - so I tended to stick to the balm, and eschew the stick and the gloss. The balms in question were invariably cheap drugstore purchases; Nivea or the like. Onwards, I now know that I can mix it up. I've whispered a quiet farewell (for now) to my IT career path and with it, the confused geeks (although I'll always be one of 'em, really), so I can feel confident wearing weird and wonderful lip colours with abandon. The Real Techniques range is finally available in Ireland, through Boots, but I've had them since they were available online (via Love-Makeup.co.uk) for about a year, and I've been using them personally and professionally since then. I'm not alone among makup artists in saying that I don't 100% love any particular full range of brushes, there are some brushes in every range that are great, and some that are downright awful (in my opinion, and according to my usage preferences). 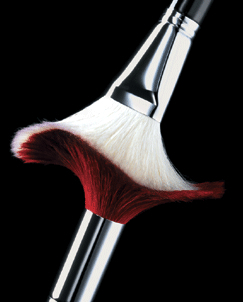 The Real Techniques brushes are similar; the ones I like I really really love. The ones I don't like I never ever use. Read on for a rundown and my opinion of the range. Please note that I purchased all of these brushes myself, and I haven't been asked for my opinion by anyone connected with the brand.